For any item that is eligible for return, you have 7 business days to request a return. For items that are not eligible for returns, we are devoted to doing our best to find a solution. Please begin your returns request by following the steps below. 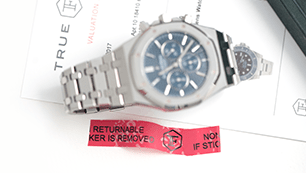 Do make sure your item is in its original purchase condition with all security tags and stickers in place. Do include all product documentation and materials including original boxes or papers. Do make sure you request return within 7 business days of item receipt. Don’t return your order if it states it is “Final Sale” in your order confirmation email. 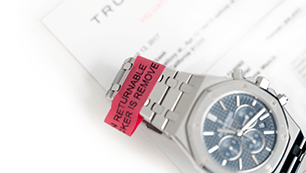 Don’t remove or tamper with the TrueFacet security tag or security sticker. At TrueFacet, we are committed to you loving your order. To ensure your satisfaction, we offer a return for credit policy within 7 business days on most items. To check if your item qualifies, please check under the returns tab of the product page you are looking at. Follow the steps below to request a return for credit. Click “Request a Return” below or email support@truefacet.com. Order number which can be found in order confirmation email or under your account in “Your Orders” section. You have up to 7 business days after receiving your order to submit your return request. Our in house team will assess the request (based on return eligibility) and email a pre-insured shipping label. Print your insured pre-paid shipping label and send in the item within 3 business days of receiving the shipping label or you may lose return eligibility. Once your item is received, please allow 7-10 business days for processing and review. Once approved, you will receive an email confirmation and your purchase will be refunded against the payment method originally used. It may take 2-3 business days for the credit to post. You can contact your credit card company on posting guidelines as they vary. 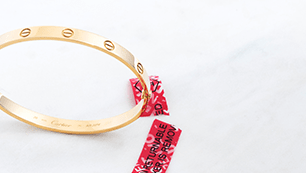 If your item is returnable for credit, you will receive the TrueFacet credit in your account in 2-3 business days and can apply that immediately to your next purchase. A restocking fee may apply based on the condition of the return. TrueFacet ships internationally to over 20 countries. Please be advised an additional return charge may be requested based on your international location. International returns on Final Sale items are not accepted for any reason and customers are responsible for paying customs and duties instilled by their country when ordering internationally. What is the refund policy and what does this entail? All returns must be made within 7 business days of receipt and must be in the same condition as it was delivered to you with all security tags and stickers intact. To request a return please email support@truefacet.com with your order # and reason for return within 7 business days from receiving your order. You will receive an insured shipping label (via email) with return instructions 1-2 business days after the request is received. 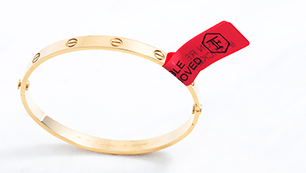 Once you receive the label, the item must be shipped back within 3 days or the return request will expire. We will email you a confirmation once we have processed your return. You can also check on your shipment’s tracking number which is found in the same email as your return label. Please keep your shipment receipt for your record. We provide complimentary shipping and parcel insurance for returns. Please follow the instructions sent with shipping label provided to you by our Concierge team in order to guarantee your items remain insured. We will refund you via the same method you used to make the purchase. If you prefer, we can also give you store credit. I have items to return from multiple orders. Can I send them together in the same box? Yes of course. Please inform us of all items being returned. And make sure your items are in the same condition as received and meet the return eligibility. I used a coupon or store credit when I originally made my purchase. Will I get this back if I make a return? All our coupons are for single use only unless otherwise specified. If you return an item that you purchased with a coupon, that coupon will not be valid for use again. However, store credit will be refunded if an item is returned.